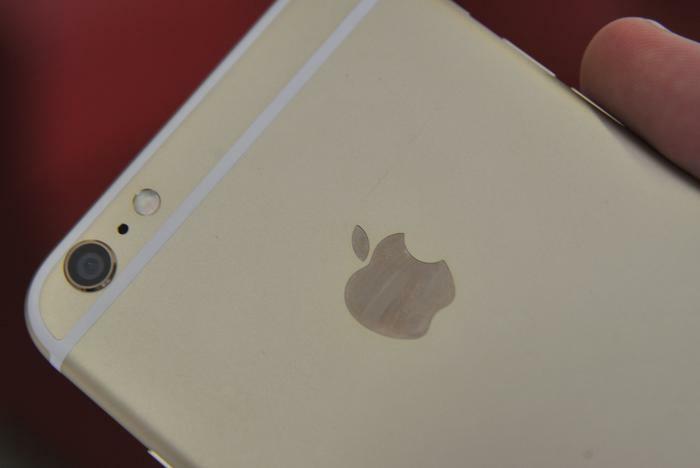 Apple iPhone 6 Plus: Does the world need an Apple phablet? Apple has long derided large screen smartphones. The company defended the dwarfish 4in screen of the iPhone 5 in a series of advertisements following its launch. Now Apple has changed its tune with its 6 Plus phablet, a 5.5in variant of its iPhone destined to battle rivals from Samsung, LG and Sony. 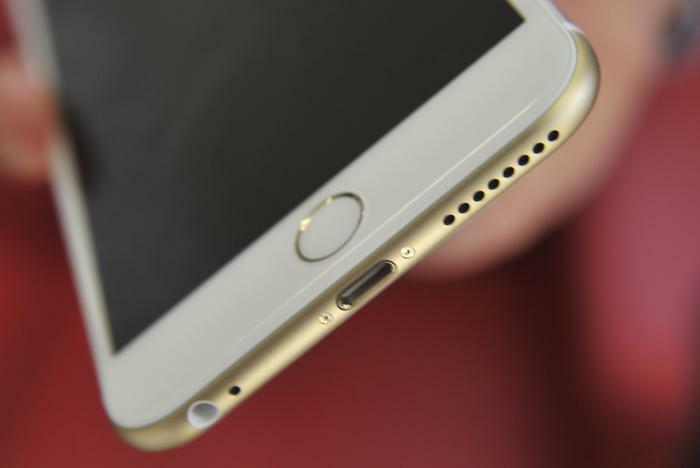 Apple isn’t apologising for the size of the iPhone 6 Plus. The smartphone towers over its phablet rivals at 16cm tall. Ample bezel borders the top and the base of the smartphone. This iPhone is not for the faint of heart. The iPhone 6 Plus stands 1cm taller than the 5.5in LG G3, and 0.5cm taller than the Samsung Galaxy Note 4. Making matters worse is the fact the Note 4 has a larger 5.7in screen. Most of the 6 Plus’ facade is occupied by a dazzling display. The 5.5in screen has a Full HD (1920x1080) resolution. Every inch of the screen packs 401 pixels — the highest of any iPhone to date. Rivals have boasted higher pixel densities for longer, but crafting an enjoyable experience is is not just a numbers game. Take the Gorilla Glass coating the screen of the 6 Plus for instance, which has been bonded to the LCD panel to form one piece. Doing so creates the illusion the display floats in line with the body. The edging of the glass has been shaved down so that it rolls into the curved aluminum corners. Blending the screen into the corners is one way Apple has made its smartphone feel like one milled piece and not an assembly of frayed components. Few smartphones use metal for the body, and even fewer do so with such large screens. The material adds a premium touch, but on the downside, it weighs phones down. The 6 Plus is case and point as it weighs in at 172 grams. The vast majority of the smartphone is milled from aluminium, save for NFC composite inlets and the facade. Even the Apple logo is made from stainless steel as it forms part of the smartphone’s radio antenna. Rounding the corners is one way Apple has managed to keep the 6 Plus manageable in the hand, but even the longest fingered man will find it a tough hold. Wrapping your fingers around it leaves a great deal of dead space between your palm and its flattened back. Typing text messages feels most natural with two hands. Entering text in portrait is a lot easier than doing so when the keyboard is in landscape orientation as fingers must stretch to tap the middle keys of the keyboard. Rival phablets, such as Samsung’s Note range, often split the keyboard to ease one-handed use. 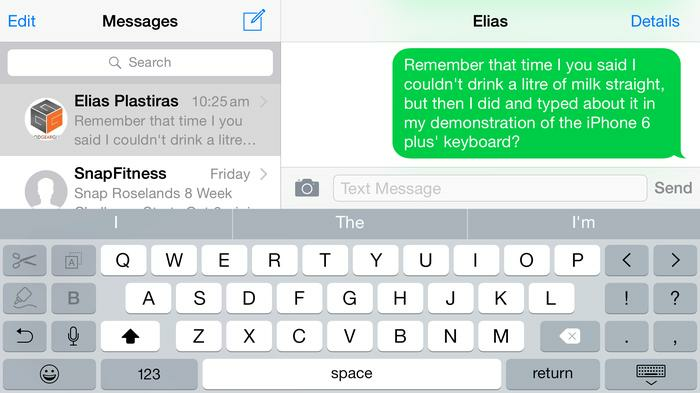 Apple instead has chosen to load the keyboard with additional buttons for punctuation and editing. There’s always the option of ditching Apple’s keyboard for an alternative following iOS 8’s support for third-party keyboards. 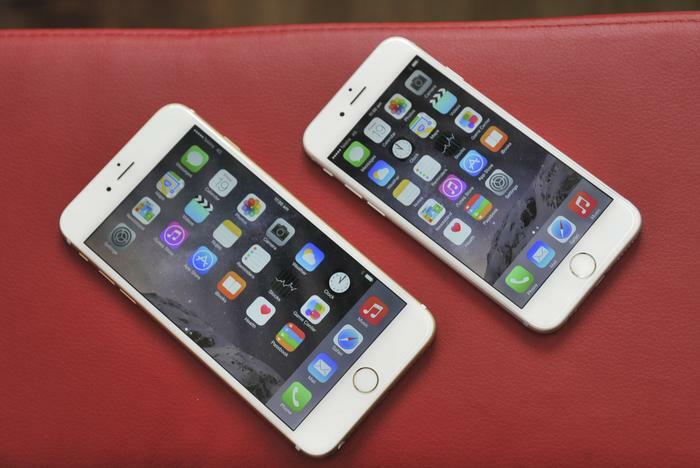 Apple has used software in an effort to make the 6 Plus more comfortable to use. A software mode called ‘reachability’ can be enabled by double tapping — not pressing — the home button. It slides the top half of the screen downwards. Reachability does make the 6 Plus’ tall form more comfortable; however, it also adds an extra step to most tasks. 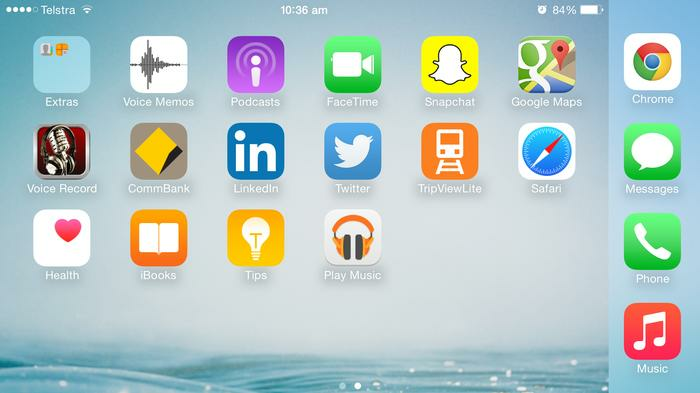 Everyday smartphone users who want a big screen version of Apple’s iOS software will appreciate the 4.7in iPhone 6. The Plus-size variant lends itself to the viewing of photos and watching of videos, but the larger screen taxes how comfortable the smartphone experience is, even more so than rival phablets. Good Gear Guide is currently testing the iPhone 6 Plus ahead of our full review. Stay tuned.